No matter what style of vacuum you choose for hard flooring you should always choose a model with rubber wheels. The rubber wheels will help eliminate damage on sensitive surfaces. The sound is also an over looked factor for rubber wheels. They will perform much quieter on hard surfaces and you eliminate the possibility of scratching the flooring. Hard flooring uprights should also have the ability to turn off the spinning brush roll and/or have softer bristles on the brush roll. In the event you use your vacuum on a hard surface with the brush roll active, you do not want rugged and stiff bristles damaging the surface. 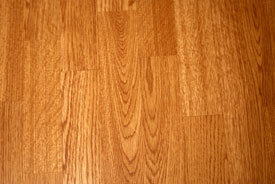 What style Vacuum Cleans Hardwood the Best? 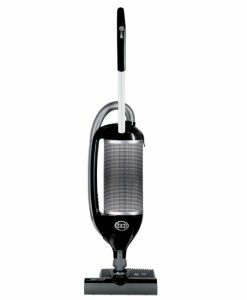 Canister vacuums outperform upright style vacuums on hard flooring surfaces. 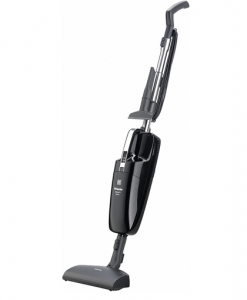 Canister vacuums come with tools specifically designed to clean hard flooring. 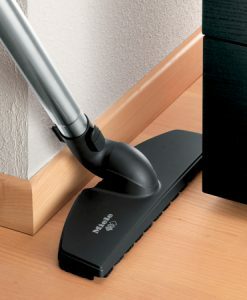 The floor brushes are shallow and flat enabling the tool to hug the ground. Where a spinning brush roll is desired in carpet cleaning, a straight suction floor brush with soft bristles is desired for hard surface cleaning. 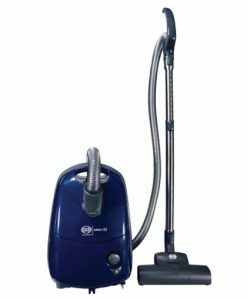 What Else Makes Canister Vacuums Superior On Hard Flooring? The hard flooring tools allow dirt and debris to enter the suction channel through notches cut between the front bristles. As the floor brush slides across the floor, the bristles actually dust the surface in the same manner you would dust your counter top. This means the finer particles are removed and your flooring receives a thorough clean.